The USVD ultra-precision high voltage divider series from Caddock have the very highest precision available in voltage dividers in the range of 450VDC up to 2kVDC, with a ratio tolerance as tight as ±0.01% and ratio TCR of ±2 ppm/°C. The USVD series offers RT values of between 1MΩ and 20MΩ as well as ratios (RT:R2) of 100:1 and 1,000:1. 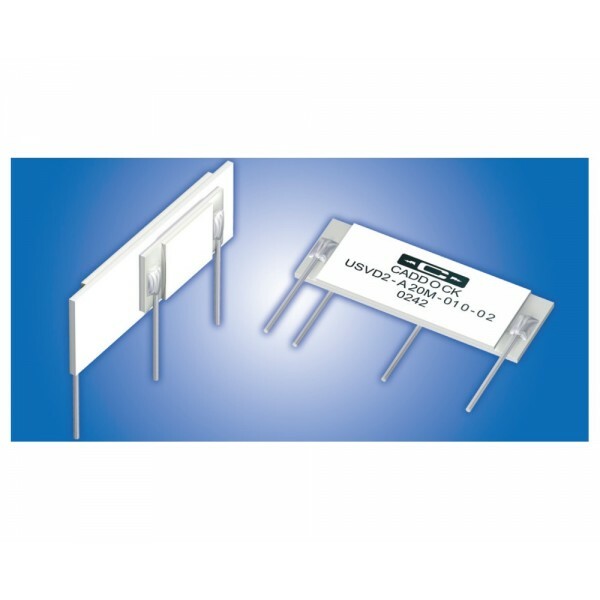 These dividers are formed by bonding together two selected USF ultra-precision resistors. 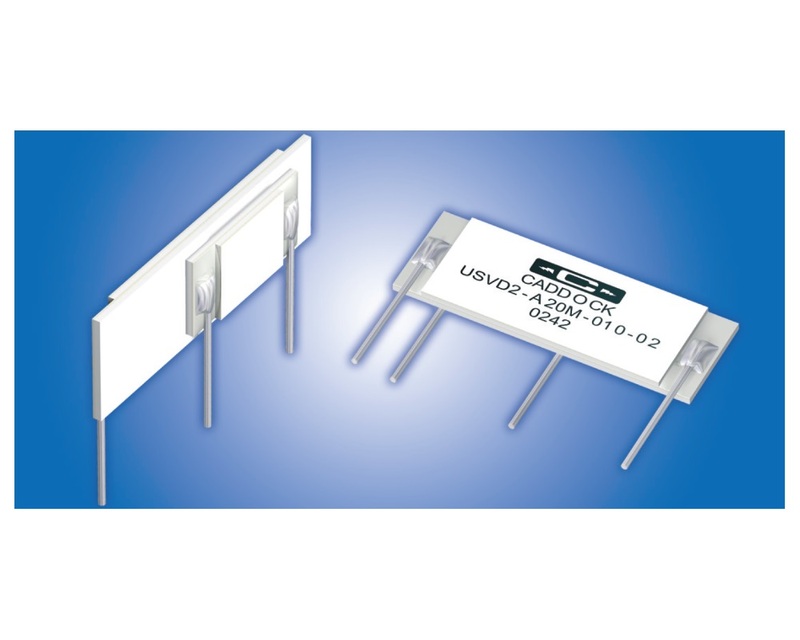 The precise selection of the two high performance USVD ultra-precision resistors, which form the voltage dividers, enables the outstanding voltage division performance. Customisations are available upon request for high quantity applications (greater than 1000 per year). 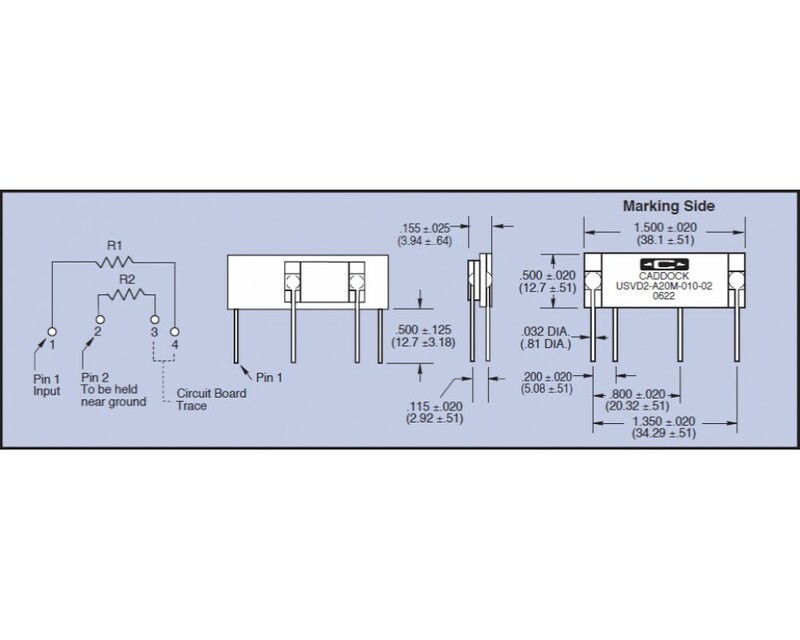 Customisations include custom voltage division ratios and ratio specifications that optimise the performance and cost for your application. The HVD ultra-precision high voltage divider series from Caddock offers ultra-precision performance in the range of 1.5kVDC to 5kVDC, with a ratio tolerance of ±0.05% and ratio TCR of ±5 ppm/°C. The HVD series offers RT values of between 10MΩ and 50MΩ as well as ratios (RT:R2) of 100:1 and 1,000:1. They are monolithic voltage dividers built with ceramic sandwich construction.Through-hole ultra-precision voltage divider6 standard m..